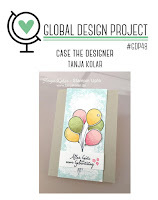 I haven't entered a challenge for a while, so this week I decided to have a go at the Global Design project challenge GDP048 - case the designer (in this instance Tanja Kolar). This is the challenge - click on the image to link to the challenge if you'd like to see the other entrants or to enter yourself. 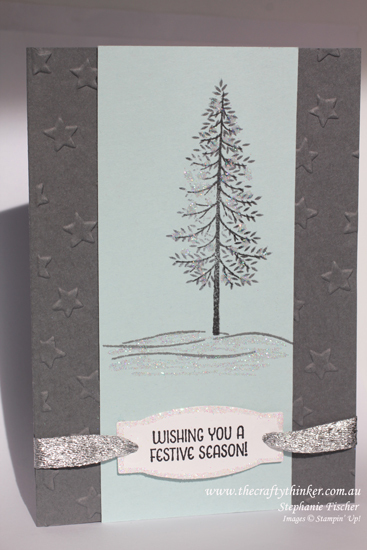 I decided to use the Thoughtful Branches stamp set, since it was to hand. This set has matching dies and is available only during the month of August, so if you like it - make sure you don't miss out! I normally make a start on my Christmas Cards in July but I'm running late this year - this is my first Christmas Card for the year! The greeting is from the Merry Mice stamp set (142145) in the new Holiday Catalogue, available from 1st September. 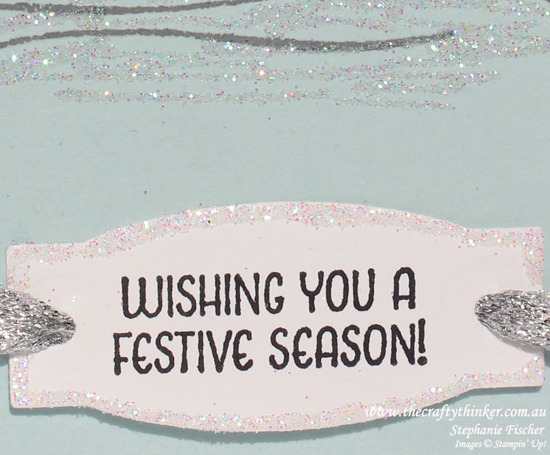 The Silver Glitter Ribbon is also from the new Holiday Catalogue (142015). I really like the fact that it's soft as well as shiny! It comes in a combo pack with a roll of Sweet Sugarplum Glitter Ribbon. I punched holes for the ribbon with the small die in the Tags & Labels die set.